Mike Chong is back with a super helpful video tutorial about how he manages the mission critical task of ordering the right t-shirts and garments from wholesalers like SanMar, AlphaBroder, TSC Apparel, S&S Activewear, and more. We'll provide you with a "vendor cheat sheet" listing around 200 common t-shirt and garment brands combined with the wholesale distributors that sell those brands. This makes it really easy to find a new vendor when your favorite t-shirt is backordered or unavailable. You'll also learn how Mike relies on Printavo to make sense of his orders and intake process. This is an easy and no-cost way to start taking more profit: cut down on receiving time, reduce ordering errors, and lower your shipping costs with a better ordering process for t-shirts and garments from your wholesale vendors. Create an invoice in Printavo. A unique invoice number is assigned to the job. Order t-shirts and garments from the right vendor. The unique invoice number for the job is put into the vendor’s purchasing system as a purchase order (PO) number. Order is shipped to the shop. Vendor prints PO number on box with t-shirts and garments. Receive and intake t-shirts and garments at the shop. The print shop’s intake department uses the PO / invoice number to look up the invoice in Printavo. This article focuses on step 2: ordering t-shirts and garments from the vendor. We'll talk more about Printavo statuses shortly. Your orders to wholesalers and distributors are only as good as the data you give them. If you mess up, it’s going to cost you time and money. Always double check your work for accuracy. Be sure all of the info you’re entering into the vendor’s ordering system is 100% accurate. 20% restocking fee. Most vendors charge a restocking fee for returned goods. Yes – you will literally pay for your mistake. 2-3 days of lost production time. If the order is incorrect, you lose production time: waiting for the garments to be delivered, checking the shirts in again, reporting the incorrect shipment, reordering, sending the return package, ensuring you get your refund for the return – obviously, it’s much easier to do it right the first time! It’s essential that you consider your receiving department when you place orders. What do I mean? Place your orders in a way that makes it easy to take them in once they hit your loading dock. Structure orders so each shipment has the fewest possible jobs in it. Make receiving simpler by having one shipment for one job. Why this works: a 10 box shipment with 5 orders is a lot more complicated for intake than 5 separate shipments of 2 boxes for 5 different invoices. Don’t order the same manufacturer, style number, or color in the same shipment. You have two jobs that require black Gildan 5000 t-shirts. If you place an order for the Gildan 5000s, the vendor simply puts the total number of t-shirts you ordered into a box. Your receiving department then has to split the orders up. Instead, place the orders for both jobs separately. Why this works: The vendor does your sorting and receiving for you. Another way to think about this: make your orders foolproof. One job, one shipment, brain on autopilot! You won't always be able to orchestrate perfect orders, but even a small improvement in your intake process will yield big results. Who can get you the shirts on time? Price matters. But time is more important. Big distributors like SanMar and AlphaBroder have multiple warehouses across the United States. Sometimes, the item you need is not in stock at the closest warehouse. In that case, it’s time to check with other vendors that have nearby warehouses. How to estimate shipping times: it’s really important to know which warehouse and vendor is your “home warehouse.” This is the vendor that can reliably provide 1-day shipping. How do you know who this vendor and warehouse are? You can get a rough estimate by utilizing UPS' online calculator and checking for ground shipping from the warehouse’s location. Why you need to know who the right vendor is: ordering from the wrong warehouse can mean missing your deadlines and ruining a customer’s event, project, or campaign. It can put unnecessary pressure on your team’s production schedule (garments show up late and create a cascading disruption in your workflow). Plan your orders a little easier with this garment procurement worksheet we use at Merch Monster (pictured above). First things first. Before ordering, I go to the Invoices screen and filter out everything except the jobs that need to be ordered. The statuses are numbered according to whether the jobs are approved by the customer or not. 1 is not approved by the customer, 2 is approved by the customer. The statuses are color-coded. Purple means not approved. Blue, red, yellow, and pink represent screen printing, DTG, embroidery, and promo merch jobs that are approved. To order the way I do, you’ll want a big monitor. I can place 5 different browser windows on my large desktop monitor. How Mike sets up his screen when he's placing orders. Step 1: Open every invoice in Printavo that needs to be ordered. Tip: garment line items in Printavo can contain a link to the required products and the vendor’s website. Easiest to do this when you're writing the quote! Step 2: Group the invoices by vendor in separate browser windows. Step 3: In the middle of your screen, open the vendor websites you’ll be ordering from. Orders with garments from multiple vendors are an edge case. Most orders have one garment type and one vendor. For the more complex jobs, keep them in their own window – or group them with the vendor that has the most garments for that job. Take notes on these jobs – they add road bumps to the ordering process. Which vendors sell which brands? As you start the ordering process, check the available stock on the vendor websites to ensure everything you need to print is available in your local warehouse. You can start keying in orders as you check availability in order to jumpstart ordering. But what should you do when a vendor doesn't have the brand you're looking for? I’ve supplied a master list of vendors and brands so you can quickly look up which vendors carry which brands of t-shirts and garments. If a vendor has supply and availability issues, then you can easily check for alternate vendors. There's a great chance that the same garment – or a comparable one – is available nearby from a different vendor. This is really handy because you can simply reference this list – and update it as needed – so you don't have to search through vendor websites to see if they have the brand you're looking for. This process of continuous contact with vendors is a great way to ensure you’re paying the best price for your bulk garments. You’ll quickly see whether other vendors are offering discounts, promotions, or simply sell the shirts at a lower price. Additionally, if the order is over 500 pieces you should absolutely call the vendor directly. You’ll often be able to negotiate spot pricing or ask for a discount (and will typically get a better price than you would if you ordered online). Rule #1 when ordering t-shirts for screen printing? Always meet the minimum shipping requirement. Unless you’re tasked with a challenging rush order or really need the garments in your shop, paying for shipping is not a part of your business model. Every time you make an order with a wholesale vendor, be sure to meet the minimum order requirement for free shipping. This is the fastest and easiest way to save money in your shop: stop paying to have the garments you print on sent to your shop! Why? Because shipping costs are a margin killer. Why should you pay 10% on top of what you already paid for garments? Your margins are likely razor thin, and there's an easy solution for getting around shipping costs. Your best bet is to combine orders until you meet the shipping requirement, combining orders, or even (in an extreme case) delaying jobs until you have enough garments to order to meet the minimum. Substitutions for t-shirts that are slow to ship or out of stock can help you meet shipping minimums, too: if you need a Gildan 5000, sub in a Fruit of the Loom 3900, Hanes ComfortSoft, or Port and Company PC54 – but be sure that you’ve gotten customer approval first! Keying errors are the #1 most common error that happens during ordering. It’s a simple mistake – you punch the wrong number in, or enter info in the wrong box when you're placing the order. You're using codes and moving through a lot of different screens – so errors are inevitable. But you can do a few things to keep the errors to a minimum. Wrong quantities for wrong sizes. Why? The vendor’s input forms are inconsistent. Here’s what I mean: some shirts are available in S to XL. Some are XS through XXL. Different garments have different sizing availability. Wrong quantities for wrong colors or styles. Why? Some garments have the same style number. Some garments may default to a different color than you anticipate. Double check your work. Seems obvious, but don't fall into the trap of believing you can place perfect orders every time. Use a checklist - once when you enter the order, and again before you place the order. What size does the invoice start at? What size are you keying quantities in for? Are the garment colors correct? Is the garment size correct? Check one last time before you place the order. Use the checkout page as a final level of QA when ordering. Organized chaos in the receiving department. Notice each shipment's accompanying invoice! You won’t always be able to meet the minimum shipping requirement and distribute your jobs neatly across shipments. Sometimes you will have to deal with complicated shipments. These may be multiple styles and colors on one invoice, items split up across different vendors because of availability issues, or a job that requires multiple garment types. The best way I’ve found to handle this is an old-school solution: print out your invoices and check them against printed copies of your vendor checkout pages before you finish checkout. Step 1: Print Printavo invoices. Step 2: Print your vendor checkout pages. Step 3: Physically check the details (use a highlighter to track your progress). Check for garment style number, name, and description. Then check for color and quantity. Once you’re sure the Printavo invoices match your vendor checkout pages, you can place the order. Vendors run out of inventory. Shirts get backordered. It happens. The very first thing you need to do when you discover that the garments you need aren’t available? Contact your customer. Sometimes this is an easy phone call, other times it isn’t. Depending on which segment the customer is in, you may want to drop everything and find a solution immediately (particularly if they're a VIP customer, or in your top 20% of customers). Your customer service department can proactively address shortages and backorders when they write quotes: don’t sell garments that have known availability issues! Call the vendor. Find out when the item will be restocked. It may be next week, it may be months. Find out as specific of a date as you can. Find a substitute. Can you easily substitute another garment in? Prepare a recommendation for your customer. Call the customer. Inform them of the problem. Ask if you can substitute another garment. Offer a reasonable solution. Follow-up with an email if appropriate. Have more info on substitutes available. If you offer your customer a replacement garment, be ready to give them info on it. Get written confirmation. Before you change the order or wait for backordered garments, get written confirmation from the customer that the changes have been approved. It may be obvious, but the most important thing is to manage your customers’ expectations. Offer a realistic solution and communicate clearly about what’s happening. You cannot prevent shortcomings from vendors – but you can control the frustrations and problems your customers face. Come prepared with options! Busy season in full swing. If you want to successfully complete orders from vendors, do these two things each and every time you reach the checkout stage of an order. Printavo invoice numbers must be entered as the PO number on your vendors’ checkout screens. Why? If you don’t give your receiving department the Printavo invoice number, orderly intake is impossible. Save the vendor’s order information into Printavo’s production notes for the job. Why? Receiving can locate the correct jobs. Even if there are multiple invoices in one shipment from one vendor, all of the invoices will show up in Printavo search when just one of the invoice numbers is entered. Receiving can quickly locate the correct work orders for all shipments quickly. Even more crucial: when something goes wrong, you easily know the exact order info - vendor, order number, and the date the shipment was ordered. If you’ve found that there are still problems with orders, it’s crucial to do a post-mortem and find out why things went wrong. Typical reasons are short shipments (may be waiting on another package or have entered quantities wrong), and incorrect colors and styles (vendor may have pulled it wrong, or data was entered incorrectly). "Today, I had a contract printer text me to say he didn't have the garments he needed for my job. I searched Printavo for the job's info – TSC order #1234Z, for instance. Then I just take that info to look up the job's status on the vendor's site." Once you’ve placed the order, change the Printavo job status to indicate that the order has been placed with the vendor. This moves the invoice off your list of jobs that need ordering. Quality orders make for quality jobs. The better your orders are organized and executed, the easier it is to deal with. Order with your receiving department in mind. Imagine how you'd want to take in garments: in an orderly, rational, reasonable, and methodical way. Set them up for success with the simplest possible orders. Order from the right vendor. Pick the vendor that's closest, cheapest, and has the right t-shirts and garments. You can use UPS to estimate delivery time. Deal with shortages and backorders proactively. Need to find a new vendor quickly? You can use our cheat sheet for vendors to know which vendor sells which brands. 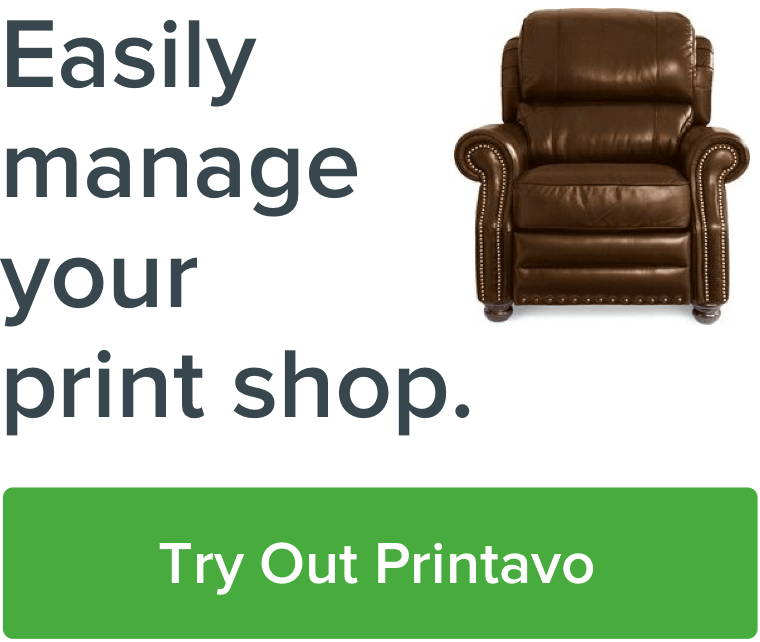 Use Printavo to help you streamline the order process. Printavo's statuses dramatically simplify the complicated ordering process – I know which jobs need ordering and where they are in the order process at all times. Mike Chong owns Merch Monster in Oakland, CA. He's focused on providing highest-quality custom apparel and merchandise for business leaders across the US. He's joining Printavo and Profit First author Mike Michalowicz at PrintHustlers Conf 2019, our unique conference for print shops. Mike regularly produces video content for Printavo, which you can find in our Tips & Tutorials playlist on the Printavo YouTube channel.